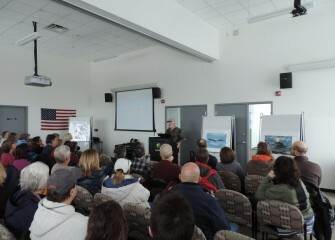 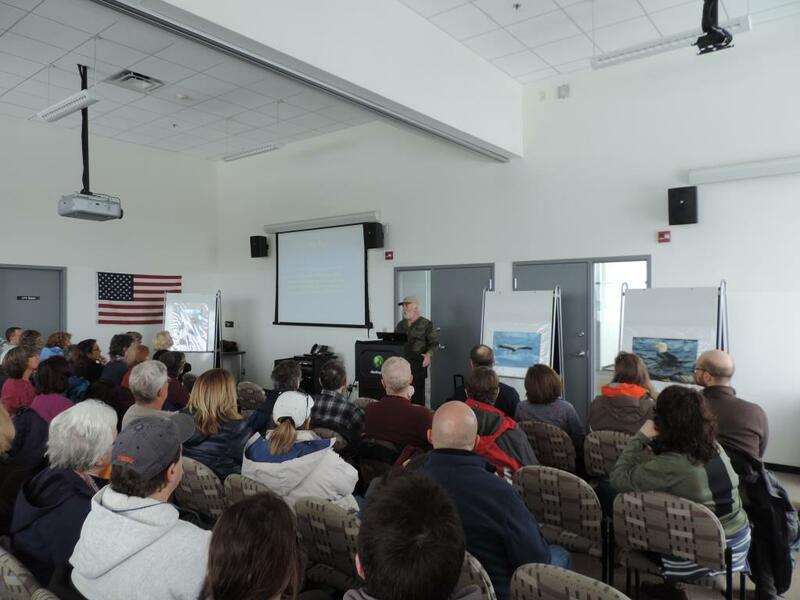 Home » Gallery "Restoring the Bald Eagle: A 40-Year Journey"
February 2017 - “Restoring the Bald Eagle: A 40-Year Journey,” a free presentation hosted by the Onondaga Lake Conservation Corps, is attended by more than 120 community members. 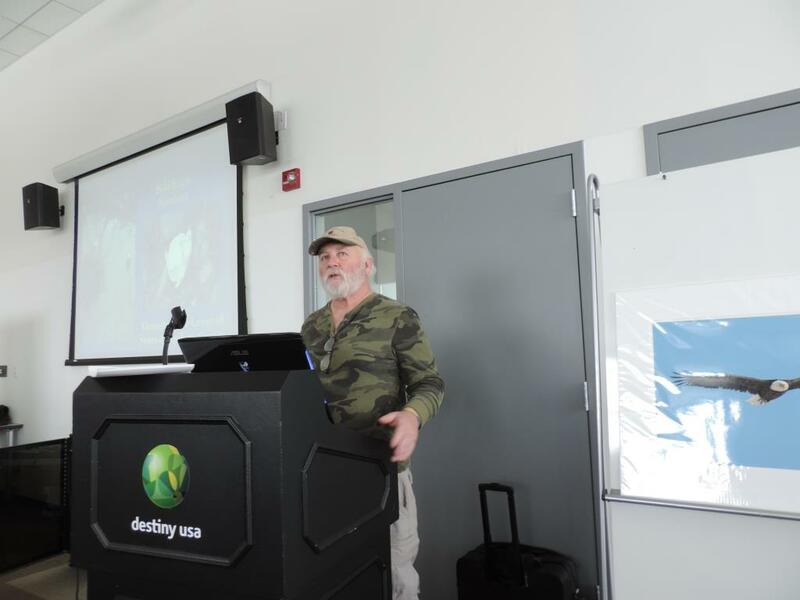 February 2017 - Mike Allen, retired biologist and wildlife technician, was involved with the Bald Eagle Restoration Project in New York State since its inception in 1976. 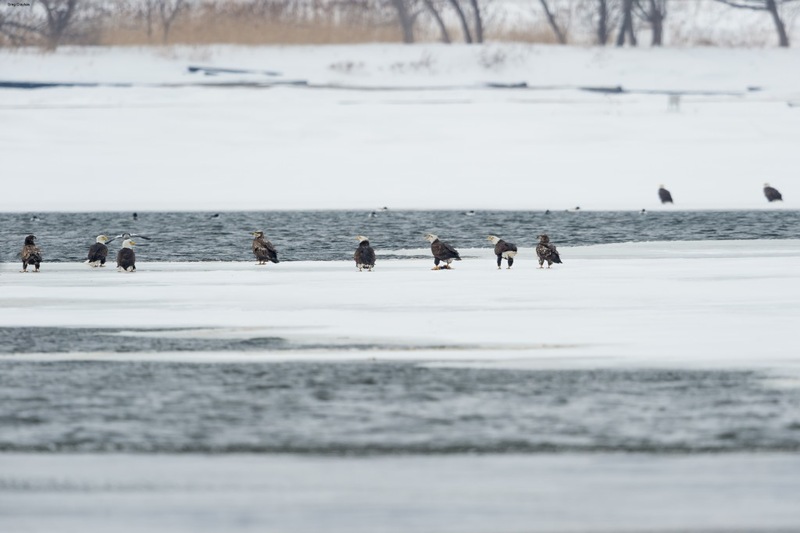 Over 13 years, 198 nestling Bald Eagles were released to help re-establish the species in New York. 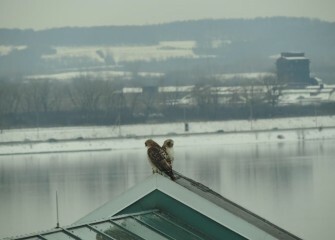 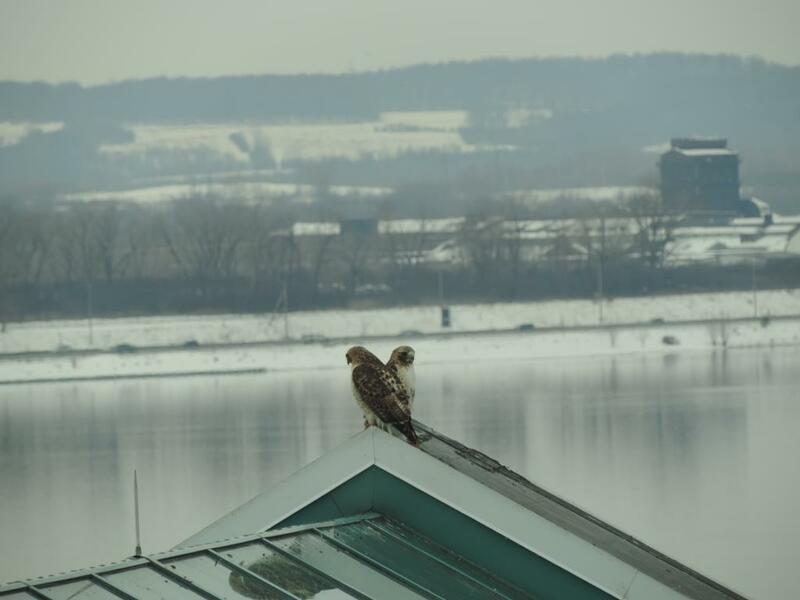 February 2017 - During the talk, a pair of Red-tailed Hawks appears on a roof peak outside the meeting room. 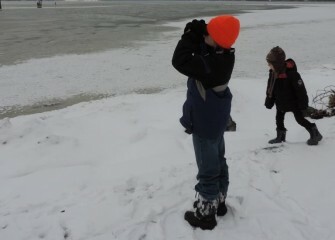 Onondaga Lake is in the background. 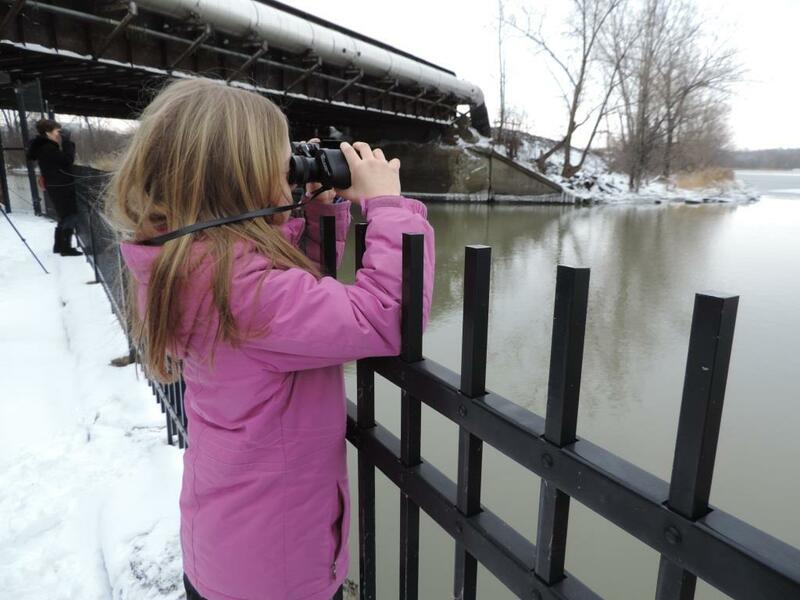 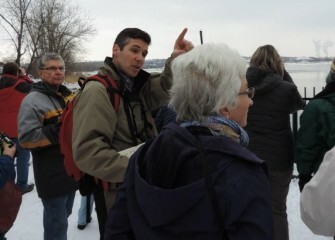 February 2017 - After the presentation, attendees go on a birding walk led by Onondaga Audubon Society members along the Onondaga Creekwalk. 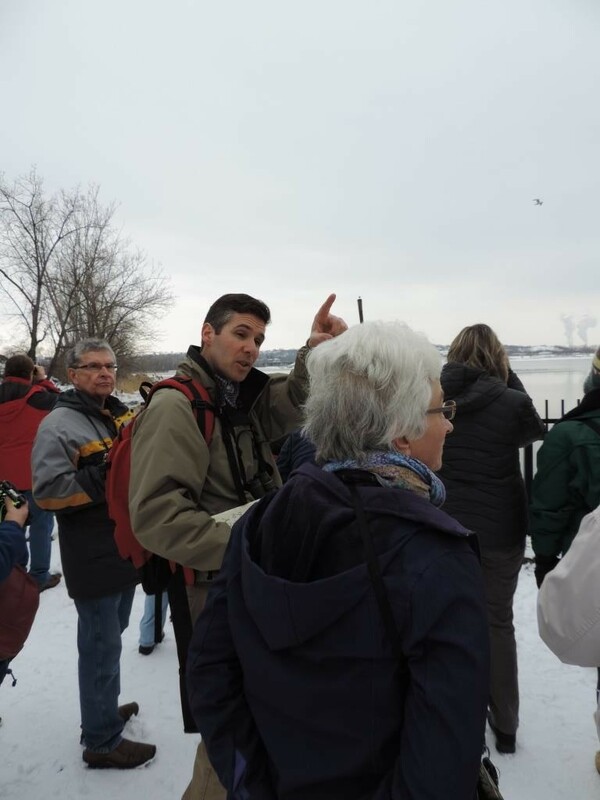 February 2017 - Montezuma Audubon Center Director Chris Lajewski (center left) also assists identifying birds. 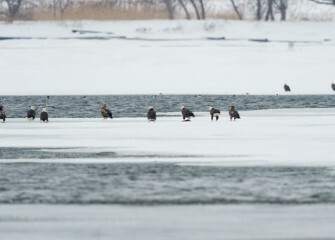 Several Bald Eagles are spotted along the Onondaga Lake shoreline. 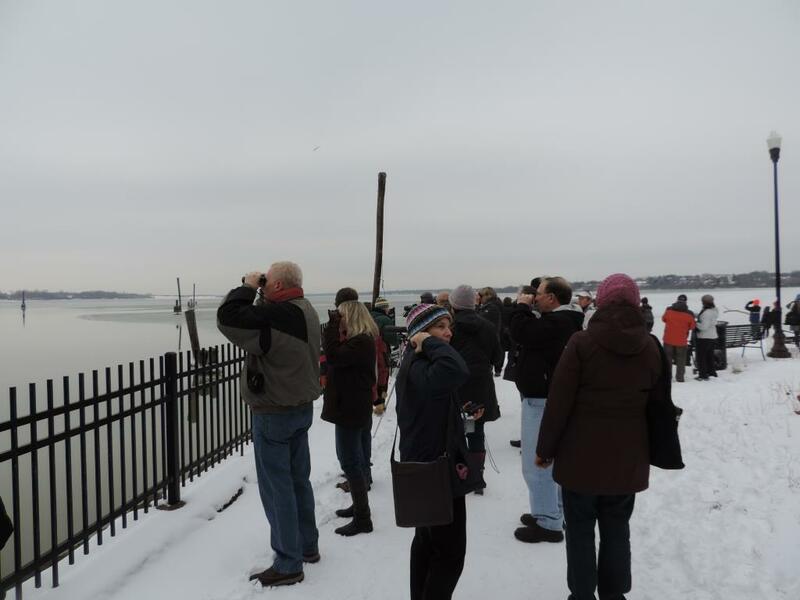 February 2017 - Data show there has been a remarkable increase in the number of Bald Eagles visiting Onondaga Lake; 79 have been spotted over the past 10 years. 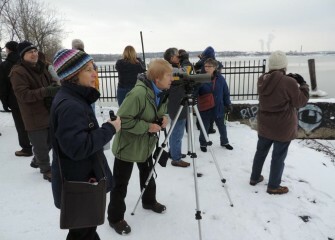 February 2017 - Paul Richardson (left) of Onondaga Audubon Society sets up a scope to help spot birds. Sue Fillinger (center) of Pompey sees a Great Black-backed Gull on the lake. 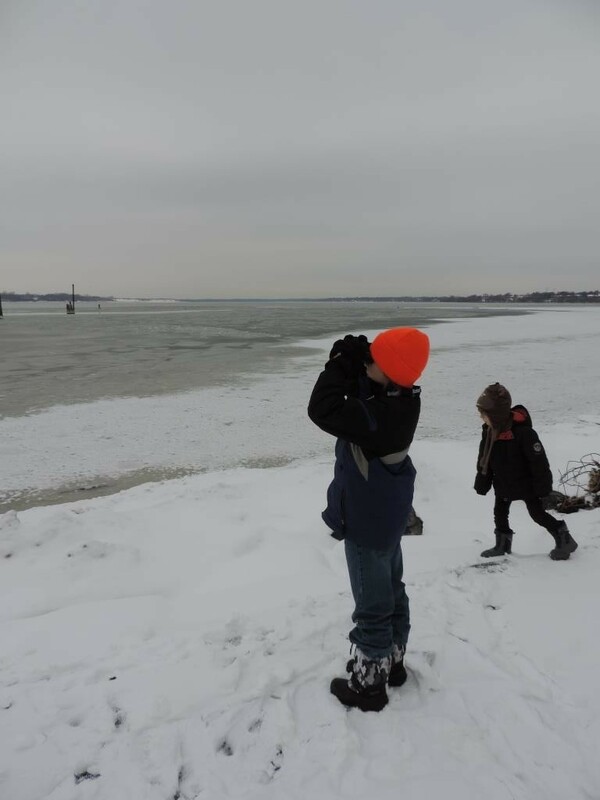 February 2017 - The Onondaga Lake Conservation Corps seeks to inspire future stewards of Onondaga Lake and its watershed through hands-on, experience-based programs.